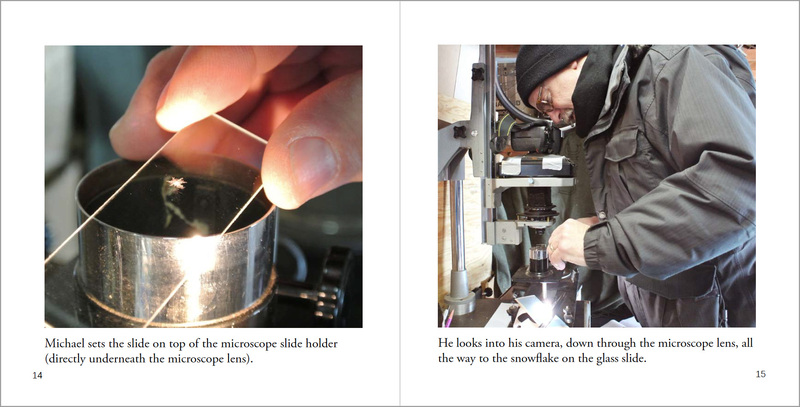 Michael Photographs a Snowflake was created to share the beauty and science of snowflakes. 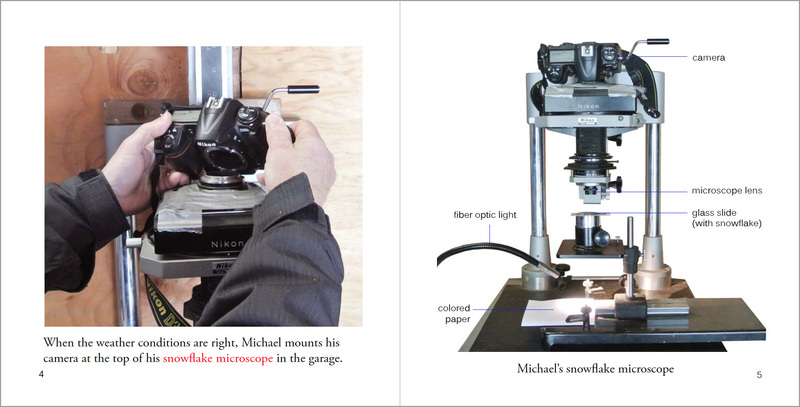 Michael has been photographing through a microscope for over four decades. 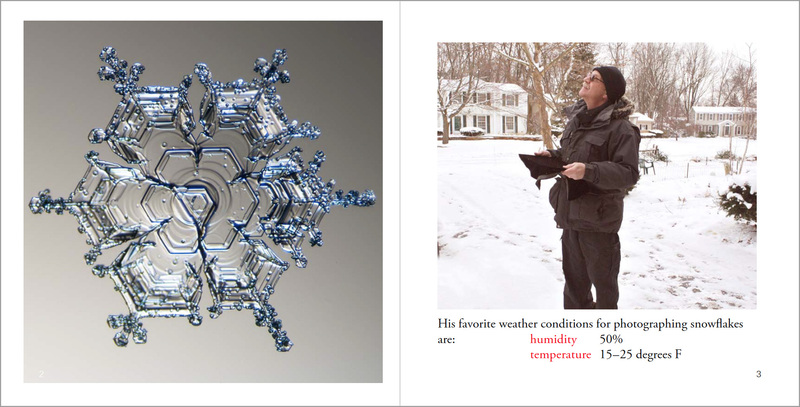 He is obsessed with photographing snowflakes and has been featured in Time magazine and on CNN and the Weather Channel. This one-of-a-kind book was written specifically for young, eager elementary school learners. 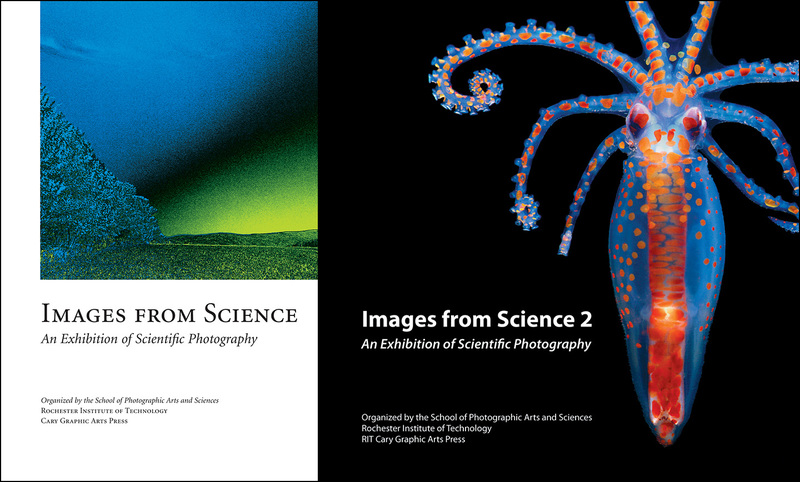 This title is part of the American Makers series, introducing individuals who express themselves through creative work. 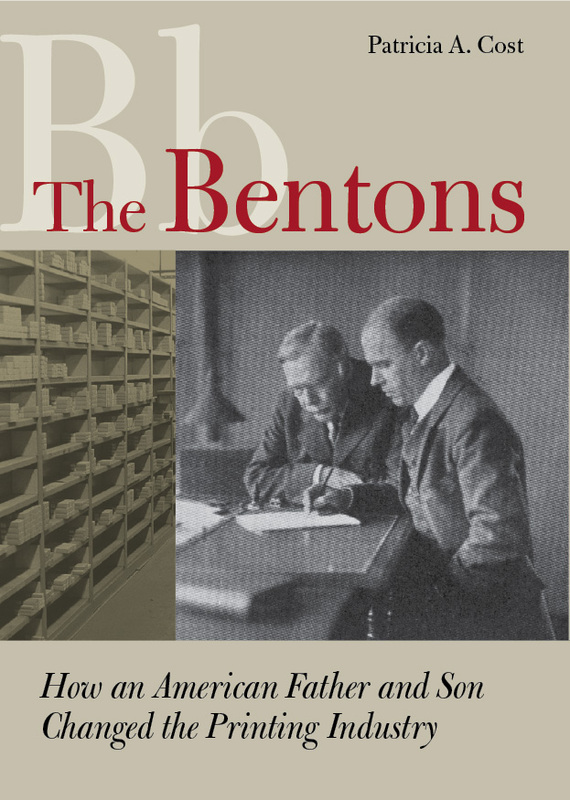 Patricia Cost also wrote The Bentons: How an American Father and Son Changed the Printing Industry (RIT Press, 2011), and several print-on-demand books. Julia Morris, an illustrator and designer from Washington, D.C., contributed the watercolor of Michael collecting snowflakes for the cover of this book. She is a fourth-year illustration student at the Rochester of Technology, specializing in book covers and greeting cards. 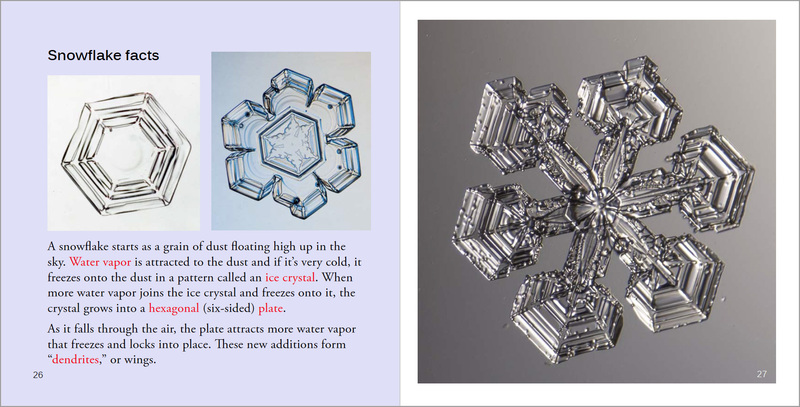 Special thanks to artist Lizzie Harper, who drew the snowflake that can be colored on page 25. (It’s based on one of Michael’s 2016 photographs.) 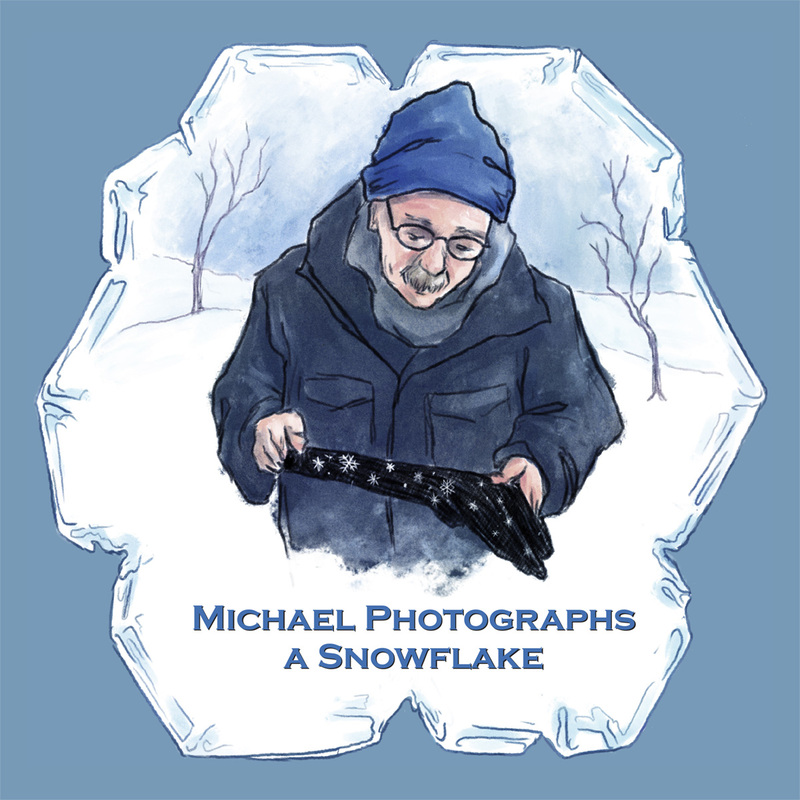 Lizzie drew many of Michael’s other snowflake photographs for a coloring book that she co-authored with Christina Hart-Davies, entitled Art for Mindfulness: Winter Wonderland (London: Harper Collins, 2015). Size: 8.5 x 8.5 in.